Yep, this year's Caldecott Medal winner, Radiant Child: The Story of Young Artist Jean-Michel Basquiat, which truly deserves the honor. Now, with this being a book about an artist written by an artist who won the Caldecott (oh, and the Coretta Scott King Illustrator Award! ), a lot of these activities are art based. Woo! But there's still some science, games, music, and food thrown in, too. Whichever of the activities you choose, they'll be perfect for the book's target age of school-age kids, or roughly 6 - 10 years old. 1. 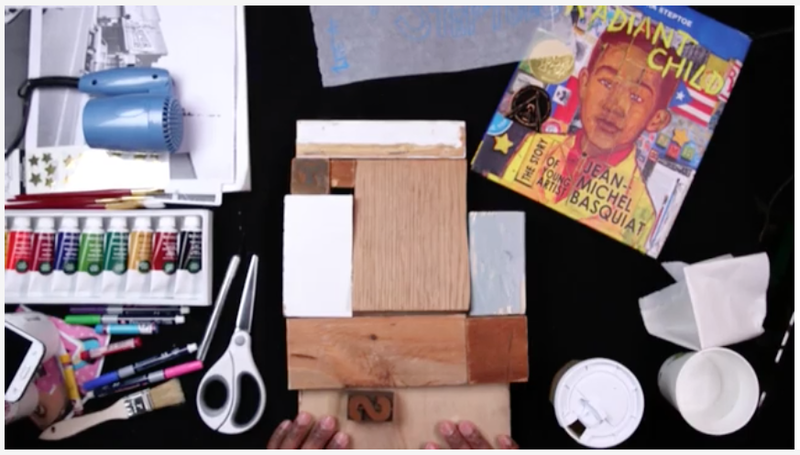 DIY spray painting—Jean-Michel Basquiat started out his career with a lot of graffiti. Have kids try it out (in a safer, more washable way) with washable paint put in spray bottles (see this instructable for more info and photo cred). Make a game of it by trying to shoot different targets with your paint. 2. Go on an art scavenger hunt—Take a walk around the house, or library, or school, or neighborhood and have the kids point out any "art." This could be anything and everything, from written word, graffiti, and advertising, to someone's latest creation hanging on the fridge. 3. Learn some French or Spanish—Basquiat's parents each spoke a different native language, making his home trilingual—English, French, and Spanish. Practice some vocabulary from each of those languages, such as counting to ten or twenty. 4. Snack on some artist palettes—This little recipe would be super easy and fun for the kids to make. 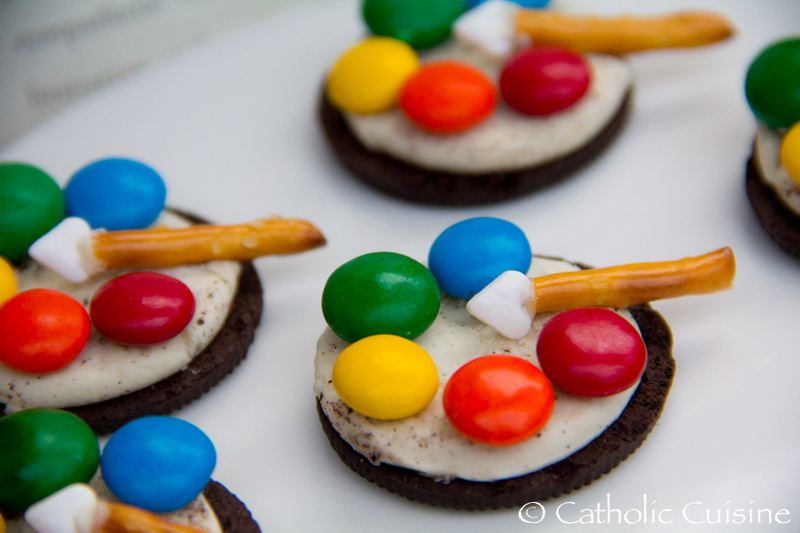 From the blog Catholic Cuisine, all it takes are some Oreos, M&Ms, and pretzels! 7. Collage your own autobiography—This book is a biography and collage artwork is used, so combine both into a fun project for kids. Using old magazines, have them cut out pictures and words and letters that describe them, gluing it all to a poster board for them to display. 8. Write a note to Mom—Basquiat's mother was a huge influence in his life and career. Have the kids write and design a little note to express love or thanks to their own mothers. 9. When I grow up—Basquiat knew as a child that he wanted to grow up to a be a famous artist. 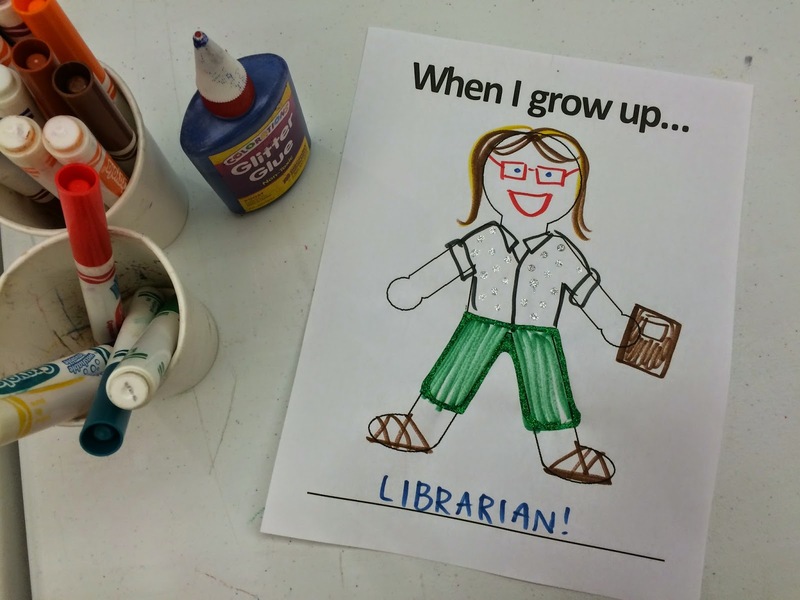 Take the opportunity to ask kids if they know what they want their future career to be. You could even have them draw a picture of themselves using this printout I made for my Jobs & Careers Storytime (where you can find the free printable!). 10. Play Red Light, Green Light—like the busy streetlights in bustling NYC (yes a bit of stretch, I know), have the kids play a fun round of Red Light, Green Light (see instructions here if you need a refresher). 12. Listen to some jazz music—Just like how Basquiat would listen to his father's music, try out some jazz favorites with the kids. Better yet, see if they can sing along to the very talented Ella Fitzgerald and her version of Old MacDonald (gah! She's my favorite). 14. Visit a museum or have a museum curator visit you—Basquiat visited the museum often as a child. If you can, take a field trip to your local museum. Or, it'd also be fun to host a program or group where a museum curator could come talk about their work. 15. Read more Caldecott winners—See the entire list of the medal winners on the ALSC website. Below are a few of my favorite favorites. 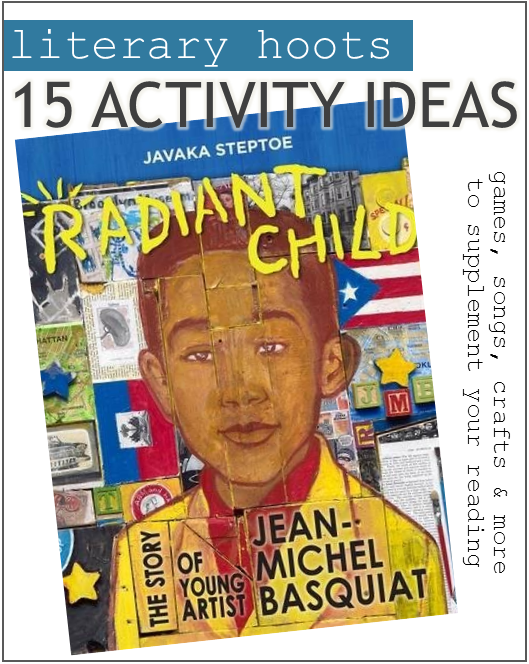 Whether you do one or all, I hope you have a lot of fun with these ideas to supplement Radiant Child: The Story of Young Artist Jean-Michel Basquiat.